Back before I changed my diet I used to be a serious baker. I was always baking and trying out new recipes. Once I changed my diet, my tastes changed and I didn’t really crave sweets as much. I ended up finding my love for cooking. I like creating meals and getting to experiment with different ingredients, but every once in awhile I like to get back to baking. I had been making a lot no bake cheesecakes (like Lemon and Double Chocolate) because they are so easy, but I wanted to try my hand at using cream cheese to make cookies. The results were delicious, tender, melt in your mouth cookies! Drizzled with a bit of melted chocolate is the perfect finishing touch! In a mixing bowl, beat the cream cheese on medium speed until smooth and creamy. Add the eggs, sweetener, and vanilla and mix to thoroughly incorporate. Add the coconut sugar and mix to combine. 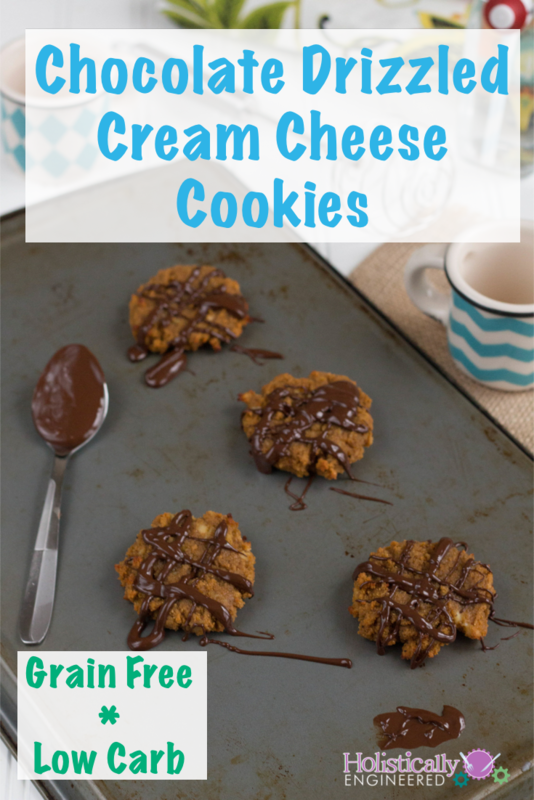 Using a small cookie scoop, scoop out the dough onto parchment paper lined baking sheet(s). Flatten the cookies using a spoon. 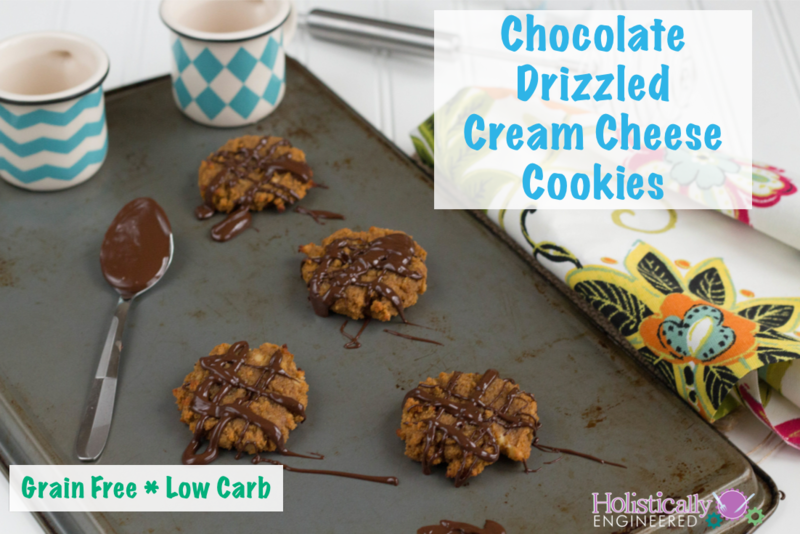 Melt the chocolate in a double boiler and drizzle the cookies with the chocolate.